Thinking Inside the Box: Hobgoblin of Little Minds or Avoiding Misery? Our first Blue Apron shipment is inside the box. Think about it. As mentioned in our blog, trying out Blue Apron forced us to re-examine some of our taken-for-granted ways of “doing cooking.” You might say that it forced us to think outside of the box (even though ironically the food came inside a box). This is already way too confusing, but it got me reflecting on how much of my life is painfully routinized and predictable (as I suspect is almost everyone else’s) and about whether routinization and predictability are worthy life goals. This is pretty heady stuff for a Raggedy. As just one example, witness my typical “in the box” morning routine. It starts at 5:50 am when I roll out of bed into my slippers, don my gay apparel – a brown plaid bathrobe – and stagger to the kitchen (for the sake of modesty I will skip my bathroom regime). Our dog Oakley, who sleeps on our bed, follows me to the kitchen knowing that my first act will be to fling a treat out the back door to get her outside to do her business. Because I have programmed my WeMo smart plug to start my teapot at precisely 5:50 am, water will just finish boiling as I walk into the kitchen. I put the coffee I had ground and measured out the night before into our French press and pour in the hot water. I punch our timer (which I had set for four minutes the previous night) and open two cans of cat food (a different kind for each cat to accommodate their individual culinary preferences). Because the cats do not get along, I feed Choco in my office and, if Ono hasn’t already sulked outside in disgust, I feed her next to Ann’s computer (note that I carefully add just a tiny bit of warm water to Ono’s food and watch to see if she eats or turns up her nose, which is about a 50/50 probability). By now Ann is up and sitting at her computer. At the four minute “ding” of the timer I carefully depress the plunger on the French press, pour a cup, and bring it to Ann along with one half of a Zuke’s fillet for Oakley’s second morning treat. 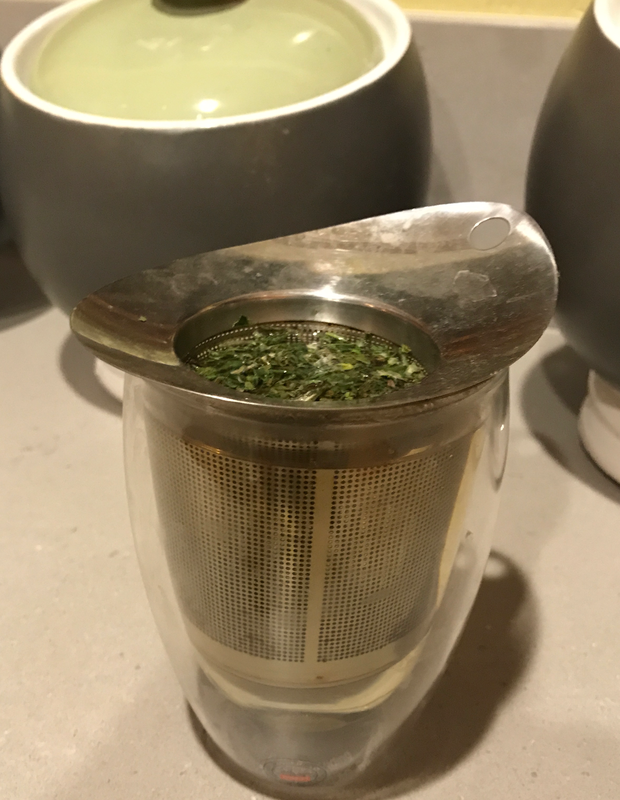 Then I heat some more water for my morning green tea (most likely loose leaf Dragon Well from the Verdant Tea Company), take my pills, and begin thinking “outside the box” about what to make for breakfast. Are routines like this good or bad? 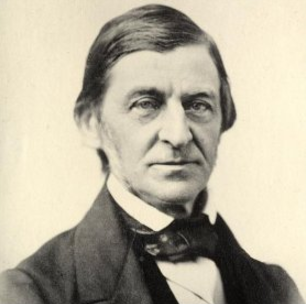 Ralph Waldo Emerson famously stated in his essay Self Reliance (which I had to memorize in the ninth grade for an English class), “A foolish consistency is the hobgoblin of little minds.” Whoa… who wants hobgoblins, let alone little minds? It looks like thinking about those who think inside the box made Mr. Emerson pretty grumpy. 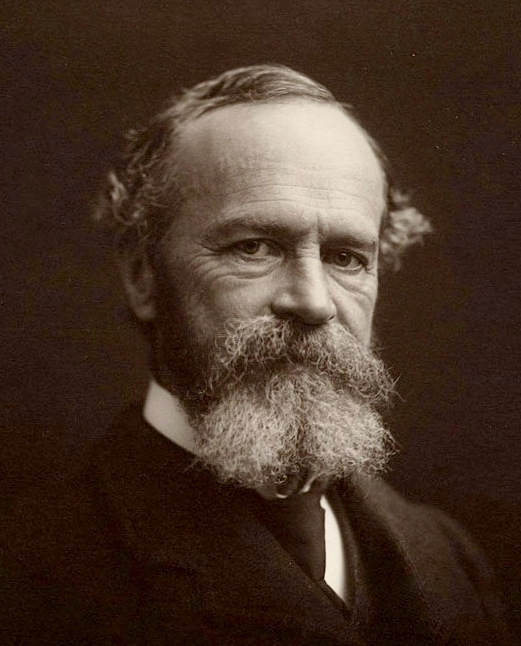 On the other hand, William James (whose work I discovered in grad school but fortunately did not have to memorize) wrote in The Principles of Psychology, “There is no more miserable human being than one in whom nothing is habitual but indecision.” After mulling this over it sounds to me like praise for routine in-the-box behavior, or at least that such behavior can keep us from being miserable. So where does that leave us? Although sounding like a cop out, I believe that in-the-box and out-of-the-box behaviors are two sides of the same coin. We cannot even contemplate thinking and acting outside of the box without knowing what is inside the box. Furthermore, the only way we can have the luxury to act outside of the box is if we have relegated much of our essential day-to-day decision-making to mindless in-the-box routines. Something as simple as thinking ahead about what you are going make for dinner while driving at 60 miles an hour on the freeway on your commute from work would be impossible if driving were not second nature (or, to use our terminology, if driving were an out-of-the-box experience). 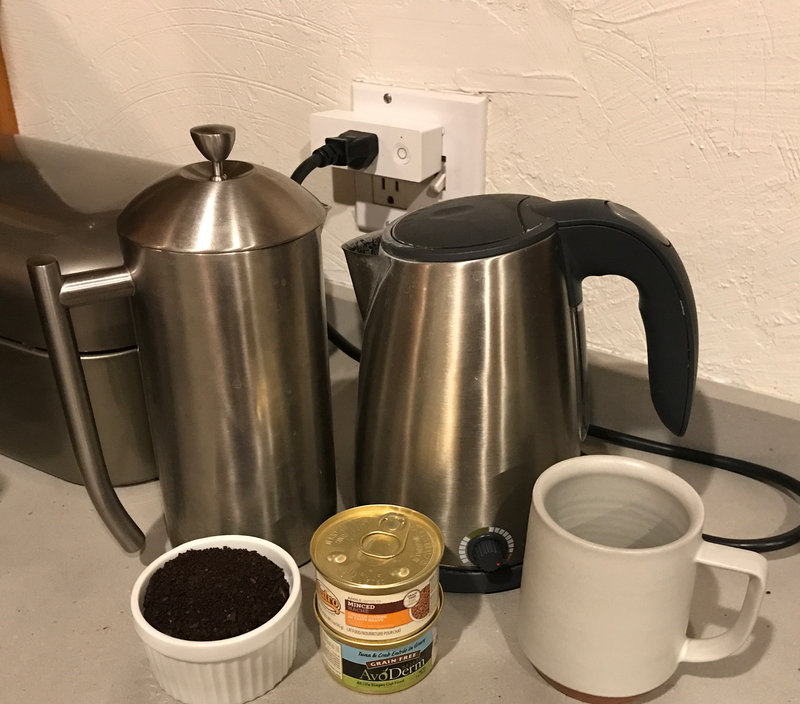 So, even as I pore over the instructions found in our Blue Apron box, I am still able to pour Ann’s coffee (a survival essential for our mornings – and our marriage) because for me, making coffee requires only in-the-box thinking (or, more accurately, lack of thinking). Who knows, if I stick with the Blue Apron regime long enough my coffee routine may become out-of-the box behavior and … you get the picture. A smile is better than a frown whether in or out of the box. I appreciate your comment. Also, we would love the recipe for your banana. Another in-the-box person who loves her routines. 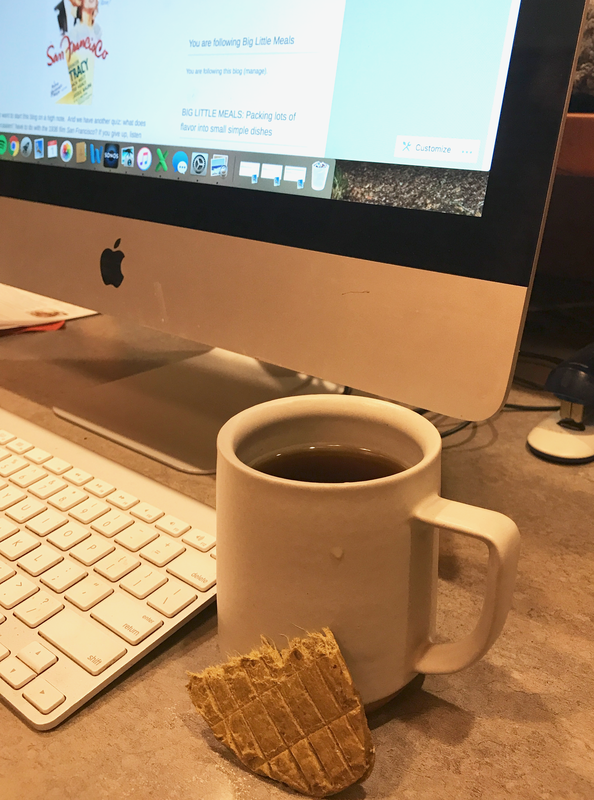 I maintain that if one follows routines, one will not run out of coffee or clean underwear and can focus one’s attention on more creative pursuits. What can be more creative than maintaining a coffee supply or washing underwear? It’s always good to hear from you. I am a out of the boxer, (not underwear) and Dave was a in the boxer. That made for a very interesting ( I’m sure frustrating for Dave) marriage. He was a good man to put up with me for 60 years. Your best (and only) sister. Being an “out of the boxer” is what made you such a fantastic older sister (I won’t say how much older). Glad you clarified that you were not referring to underwear. Thanks for the input.